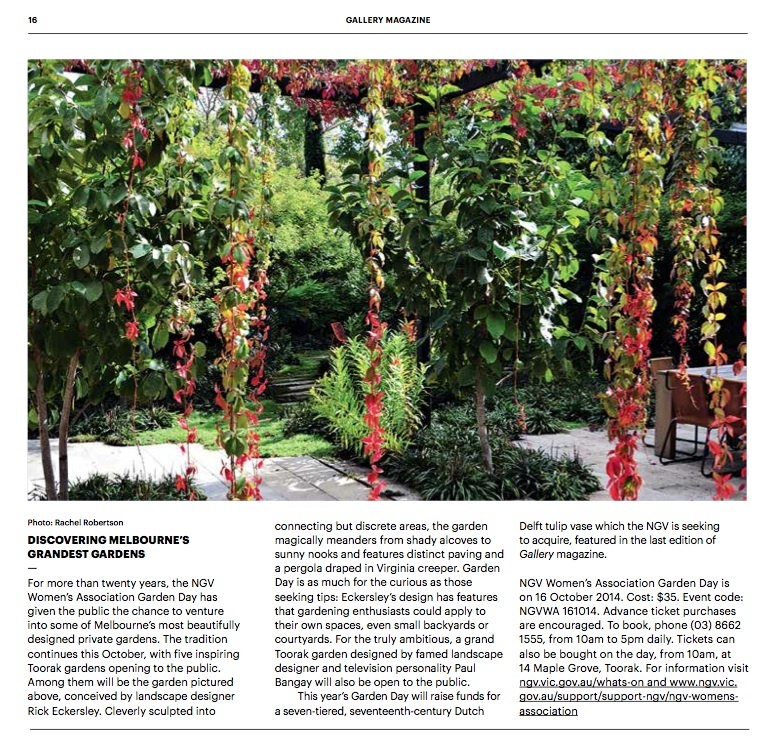 The current edition of the Gallery magazine published by the National Gallery of Victoria, features an E-GA garden designed by Rick and Myles. This Toorak garden will be open to the public on 16 October 2014 as part of the NGV Women’s Association Garden Day. For further information, visit http://www.ngv.vic.gov.au/whats-on closer to the date.